Probiotic enhanced, raw, sprouted, organic almonds. Sunbiotics is proud to bring you probiotic enhanced nuts. 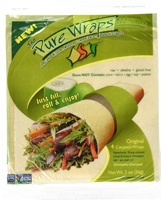 Imagine a delicious and healthy gourmet snack with the extra benefits of probiotics. Our patent pending process begins by sprouting raw, organic almonds and then generously coating then in our potent probiotic blend (8 billion per package*). Low temperature drying is used to increase crunchiness, preserve nutrients and probiotic potency. 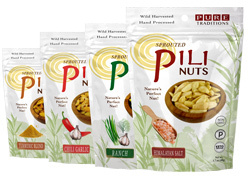 We're proud to offer these probiotic snacks...the crunch is outstanding and the flavors are very light. These are especially great snacks when you're in "maintenance mode" with your probiotic intake.